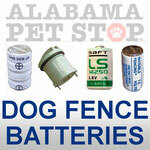 We carry only OEM or OEM-Quality Batteries, Products & Accessories for ALL BRANDS of electric dog fences. 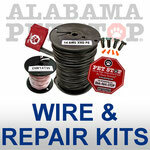 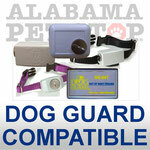 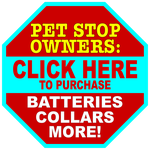 Batteries & accessories for Pet Stop Brand pet fence equipment can be purchased at this link. 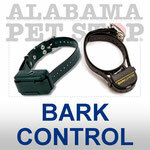 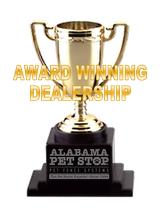 Contractual obligations allow us to sell Pet Stop products only within our specific central Alabama territory, or to our customers who may have moved outside that territory. 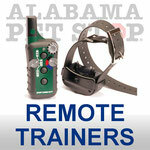 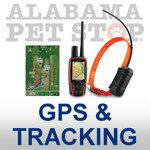 If you live outside our Alabama territory and did not purchase your system from Pet Stop of Alabama, CLICK HERE you locate your area dealer. 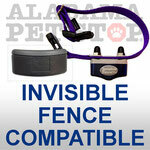 If your area is not covered by a Pet Stop dog fence dealer, contact us and we will be happy to help.